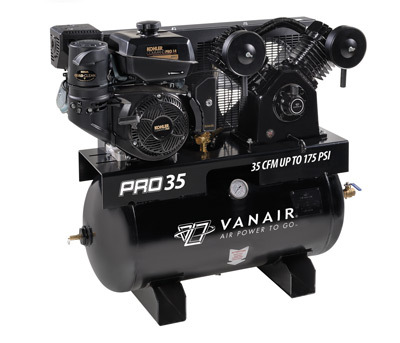 Ultra portable, yet powerful, the gas powered Pro Series is an excellent option for individuals working in the mechanic, service, agriculture and contractor markets. Due to it's extremely compact size, this unit is ideal for work performed on the go or where portability is a must. 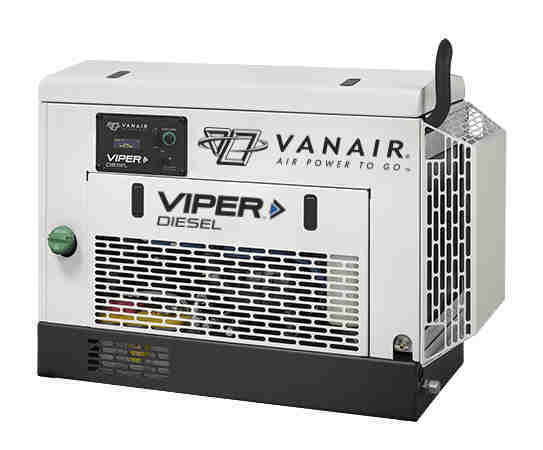 Powerful, yet portable, this rugged engine-driven air compressor is powerful enough to run most 90lb jack hammers, while being small enough to fit behind the cab of your truck. 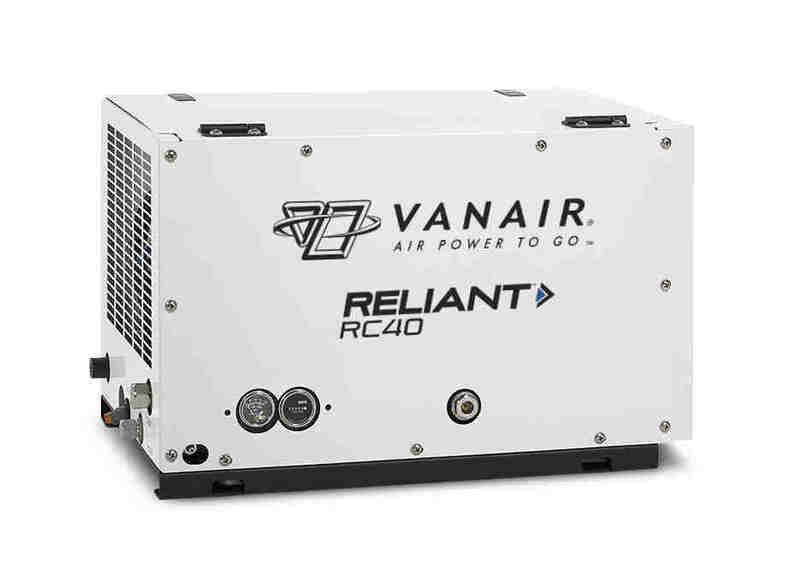 It's compact build, portability and powerful performance make it the perfect choice for delivering the air power you need, where you need it. 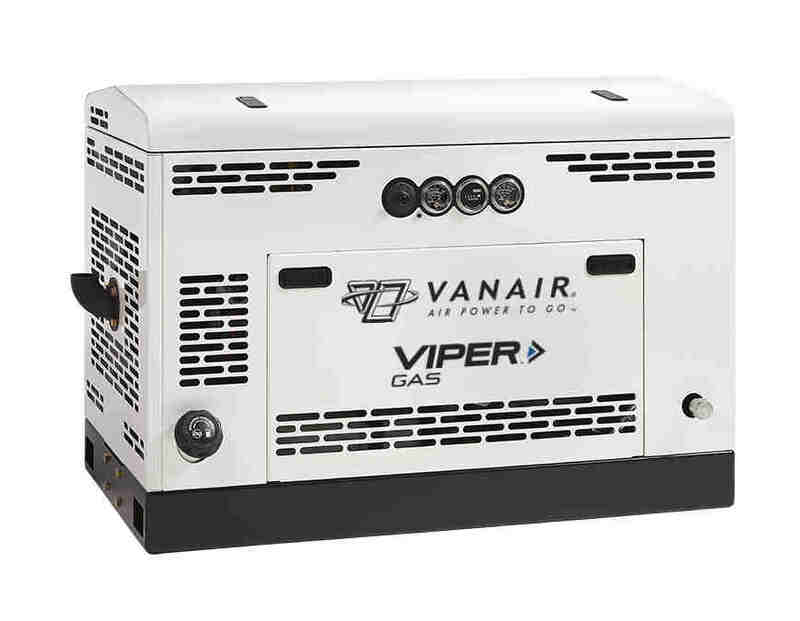 When you need a high-performance air compressor that delivers proven performance on or off your truck, you need a Vanair Viper Series Engine-Driven Air Compressor. This gas-powered, compact unit can easily be loaded and unloaded from your pickup for maximum versatility. 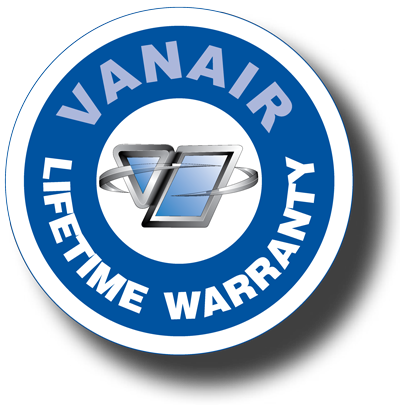 Providing the highest CFM of any abovedeck unit on today’s market, these compact, hydraulic powered units offer the versatility and sheer power to match the task at hand. The innovative in-tank air/oil separator. Up to 3⁄4" Up to 3⁄4" Up to 1-1⁄2" Up to 1-1⁄2" Up to 1-1⁄2"
* Ratings are approximate and are based on new equipment specifications. 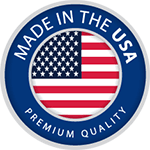 Refer to tool manufacturer recommendations for tool consumption needs. Makes and models differ in requirements.